Tim McWilliams is an accomplished flat-picking and finger-style guitarist, embodying the diverse roots music traditions of Western North Carolina. Upon receiving his M.A. 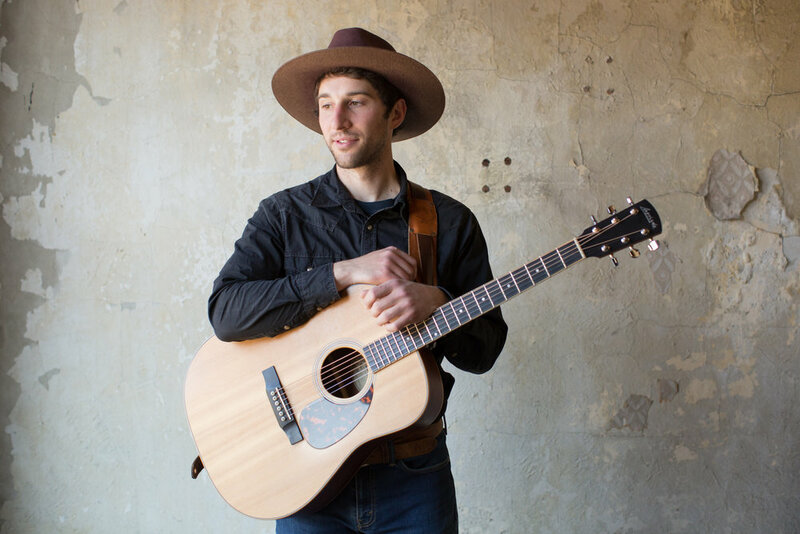 in Appalachian Music: Roots & Influences from Appalachian State University in 2014, Tim launched his professional music career with a three month cross-country tour. Since then, he has performed full-time as the guitarist, banjoist, songwriter, and vocalist with his group, Redleg Husky, as well as a solo artist. In 2017, he received an endorsement for Larrivee Guitars and performed more than 250 shows on stages throughout the greater Southeast. In 2018, Redleg Husky released their new album, "Don't Be Bashful," and performed at many notable regional festivals including LEAF, Fall for Greenville, and the Downtown Asheville Independence Day Celebration alongside acclaimed bluegrass guitarist Larry Keel. Redleg Husky is a country, bluegrass, and blues duo from Asheville, North Carolina. Since its inception in 2012, the band has been performing its unique blend of American music in barrooms, theaters, and festivals throughout the Southeast and beyond. Redleg Husky continues to develop new takes on classic songs, bringing an impassioned live show to audiences and pushing musical boundaries within the many sub-genres of Americana.